The White House said Wednesday it wants to slash methane emissions from the crude oil and natural gas industry in the U.S. by up to 45 percent below 2012 levels as part of the Obama administration’s Climate Action Plan. The announcement follows years of scientific studies showing that oil and gas operations in the U.S. are leaking a large but unquantified amount of methane, helping to fuel global warming. Hydraulic fracturing, or fracking, has enabled the U.S. to be the world’s leading crude oil and natural gas producer, and the EPA expects that methane emissions from the oil and gas industry could rise more than 25 percent by 2025. To prevent that from happening, the EPA will be proposing rules later this year that aim to slash oil and gas methane emissions 40 to 45 percent compared to 2012 emissions by 2025. The proposed rule, which is expected to be unveiled this summer and finalized in 2016, will regulate emissions exclusively from new crude oil and natural gas wells. 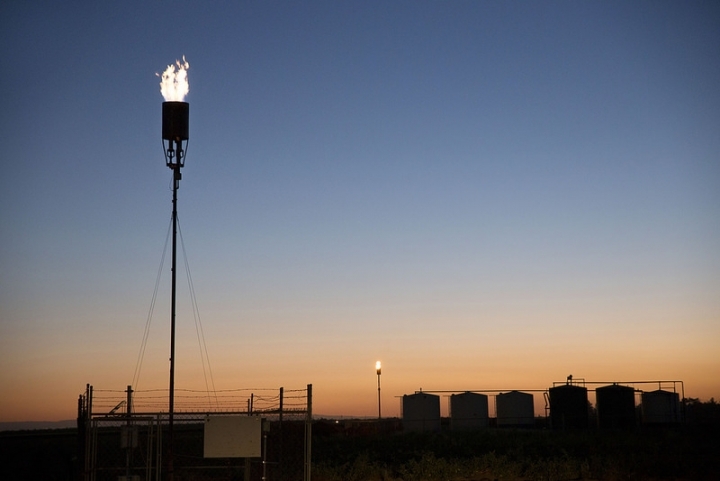 The methane rule comes after the EPA announced in December that it is planning to require energy companies to report more greenhouse gas emissions, including methane, from fracking operations, natural gas compressor stations and pipelines. The EPA is also considering requiring the use of remote sensing technology to measure methane emissions from oil and gas operations as a way to get a better count of the methane leaking from fracking, pipelines and other oil and gas-related machinery. "There are significant, highly cost-effective opportunities for reducing methane emissions from this sector," Dan Utech, Obama's climate and energy advisor, told the Associated Press. "We're confident we can do this in a cost-effective way."